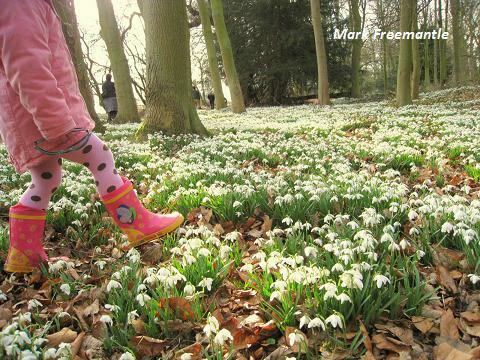 "A magical sight you will never forget - a myriad of flowers in the five acre gardens plus a half-mile walk in the woods with carpets of snowdrops to delight you". 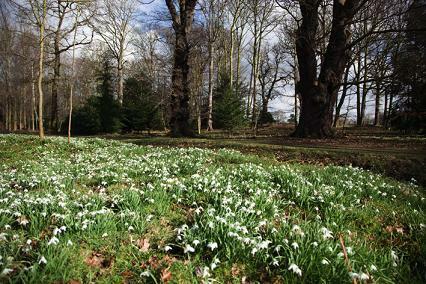 In February 1990, Lady Belinda Buchanan opened her glorious Snowdrop gardens to the public for the first time. She was astonished by the numbers of visitors who arrived, and who returned year after year. As numbers grew, so increased visitor's comforts and facilities with the family offering refreshments and light meals, plant sales and guided tours of the formal gardens and woodlands. Today George Buchanan and the estate team have refined the running of the popular annual event, with the exception of influencing the weather. Snowdrops 2019 Our Snowdrops season starts in February and closes early March. See website for times. 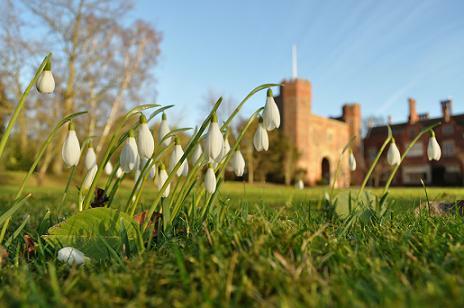 We welcome around 400 wheelchair users each year to Snowdrops at Hodsock. The paths around the garden are accessible with electric and manual wheelchairs and pushchairs. However our woodland and some garden paths are not barked or chipped. Regrettably, we do not allow dogs in the Gardens or Woods. Each year, many dog owners come and exercise their dogs in the Car Park (a 10 acre field with links to public rights of way) and then leave their dogs in their cars while they enter. Our tea rooms serve quality meals, snacks and drinks sourced from local producers. You can find tea and cake, pie and peas and a wide range of hot drinks and food. The House is closed to the public throughout the Snowdrop season, with the exception of private wedding parties. If you want to take a break near Hodsock Priory, why not stay in one of our recommended hotels. Each hotel has genuine guest reviews enabling you to book from anywhere in the world in total confidence. Not only do we feature hotels near the garden, we also feature hotels worldwide and at all major airports. Special prices up to 70% off standard rates as well as hundreds of exclusive deals. Look now - click here.